This is a serious condition which is characterized by having one or more blood clots in the lung artery. Pulmonary embolism is usually caused by a clot that it is suddenly traveling to the lungs from a patient’s leg. When there is a blood clot in the leg, then it is called deep vein thrombosis. There are some cases when DVT can result in the blot breaking away from its original location. Then, this clot travels through the bloodstream to another part of the body, such as the lung or brain. When the clot blocks the normal blood flow to one of the lungs, then permanent damage due to reduced oxygen or even death can be caused. If you left it untreated, then you can die due to tissue damage, death of healthy cells and complications. The most common symptoms of pulmonary embolism are coughing up blood; shortness of breath; wheezing; rapid heart rate; rapid breathing and high blood pressure. There are many factors which can increase your risk of pulmonary embolism, such as genetic factors; pregnancy; smoking and drug use; menopause and hormonal changes; chronic diseases, such as history of cancer; recent infections; hospitalization; high amounts of stress or trauma; a history of previous blood clots, heart attack or stroke; too little exercise (a sedentary lifestyle); being overweight; older age, especially between 60 – 75. [1,2] If you suffer from pulmonary embolism, then you need to talk with your doctor before you start using some of the below mentioned home remedies for this disease. Red clover: You should take about one cup of red clover blossoms. You should take a jar containing a hot water. You should add the red clover blossoms and cover the jar with a lid. You should let the mixture to steep for five to ten hours so you can get the maximum goodness of red clovers. You should strain this mixture and drink about four cups per day to keep the arteries healthy. You should chill the remaining tea and you should consume this tea within the next 3 – 4 days. You can add mint leaves to it because it will enhance the taste. Lactating or pregnant women should not consume this tea as their natural treatment for pulmonary embolism. Swimming: When you are doing water exercises, such as swimming, then they can keep your weight in check. Obesity is linked to pulmonary embolism so this is a reason to do swimming if you suffer from pulmonary embolism. [4,5] This exercise will lower your chances of developing pulmonary embolism. Grape seed extract or turmeric: This is very effective home remedy which you can use for your pulmonary embolism. You can also take turmeric to treat the symptoms of this condition. You should take grape seeds, grind them and extract the juice of them. Then, you should mix a pinch of turmeric to this extract and consume it two times per day in the amount of teaspoon. Even if this natural cure tastes bitter, you should not add any sweeteners. Gingko biloba and garlic: In the Chinese medicine gingko biloba was used as natural treatment for many different diseases. It has anti – inflammatory properties. You can take it as preventive for formation of blood clots. This natural cure dilates the blood vessels and it is improving the flow of blood. You can add garlic in your diet because it will keep your arteries healthy. When you are eating garlic clove, then it can keep your system healthy. If you add it with the extract of gingko biloba, then it will cure pulmonary embolism but at the same time it will boost your immune system. Ginger: This is a popular herb which is used in the treatment of many different diseases. This natural cure has blood thinning properties which can prevent the blood clot formation. [8,9] You should cut a ginger into thin slices and you should have few slices each day to treat the symptoms of pulmonary embolism. Also you can add ginger to your tea drink this tea because it will keep you healthy. Also if you have ginger juice on daily basis because it can help you to treat this condition. Quit smoking: One of the best ways to treat the pulmonary embolism is to stay away from irritants which are causing pulmonary embolism. We know that the smoking habit can cause a lot of health problems, such as lung cancer and cough but also it can worsen the symptoms of pulmonary embolism. If you quit smoking, then it will make your immune system stronger and it can help to boost the process of healing of pulmonary embolism. If you are taking medicines that contain estrogen, including birth control pills, then it is very important to avoid smoking. Fish oil: Fish oil is considered as effective home remedy for pulmonary embolism because this oil is rich in Omega – 3 fatty acids. When you are consuming fish oil, then it will help you to thin the formed clots in artery . In one study was shown that when you consume fish oil, then it can help to prevent strokes because it can decrease the ability of platelets. But there should be done a lot more studies in future to show the effectiveness of fish oil in the treatment and prevention of pulmonary embolism. Exercise: One of the most important things which you should do to treat pulmonary embolism is to exercise. This will make your immune system stronger and it can help your body to heal any problems in which pulmonary embolism is also included, especially if pulmonary embolism is caused by being inactive or sitting for a long time. If you do not have a time to exercise, then you should practice some simple exercises to strengthen your muscles and relax. You can stretch your legs toward your head and relax. You should repeat this type of exercise for a few times. This exercise is very important when you sit for a long time, especially during long flights or driving trips. Vitamin E: It was proven that Vitamin E can help to thin the blood clots. If you want to get a relief from the pulmonary embolism, then you should take Vitamin E supplement. It is very important to talk with your doctor before you start taking Vitamin E supplement. Get out of your bed: One of the possible causes for pulmonary embolism is being inactive and this means that you should get out of your bed immediately after recovering from surgery and ill. It is very important to move your hands and legs as soon as possible. You should give your best to be active like taking part in outdoor activities. This natural treatment will help to prevent many problems and ailments. Nattokinase: This is an enzyme which is happening when the soybean is fermented. The nattokinase has thrombolytic properties which mean that this enzyme can help you break up the formed clots in your artery. [11,12] All studies which were done about the effectiveness of nattokinase have been done in animals and test tubes. This means that the safety of nattokinase is not established well. This natural cure can have some side effects of bleeding. This is a reason why people who are taking anticoagulant and anti – platelet medication need avoid nattokinase. 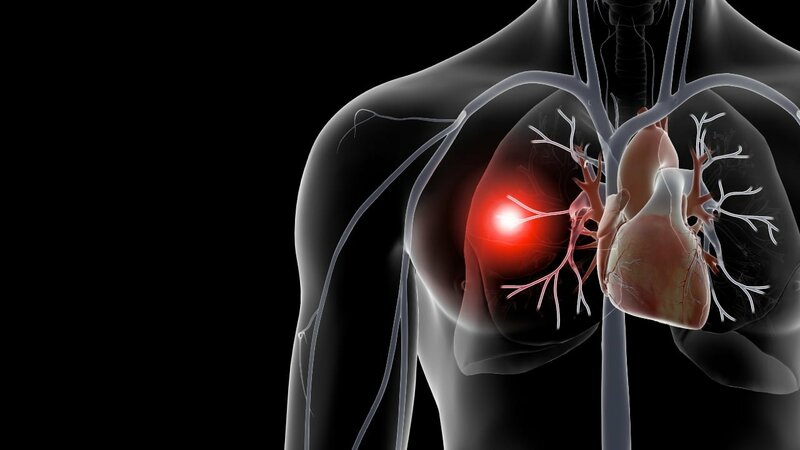 This enzyme is rich in Vitamin K which can help to reduce the risk of developing pulmonary embolism. If you have decided to use nattokinase as your natural treatment for pulmonary embolism, then you need to talk with your doctor before you start using it because in this way you will know that it will not cause you any side effect. Wear compression stockings: It is proven that wearing compression stockings is effective way to treat pulmonary embolism. When you are wearing them, then it can keep you away from deep vein thrombosis if you have increased chances of getting pulmonary embolism. Maintain a healthy weight: When you are overweight, then it puts more pressure on your blood vessels, lower extremities, vital organs and heart. The estrogen which is stored in the fatty tissue can lead to inflammation, clot formation and other problems which can trigger the development of potentially dangerous clot. You should keep healthy weight even as you age by eating a whole – based diet and reducing the intake of inflammatory and processed foods. Lambrini K, Konstantinos K, Christos I, et al. Pulmonary embolism: A literature review. American Journal of Nursing Science. 2018;7(3-1):57-61. Lavorini F, Di Bello V, De Rimini ML, et al. Diagnosis and treatment of pulmonary embolism: a multidisciplinary approach. Multidisciplinary Respiratory Medicine. 2013;8:75. Dietz BM, Hajirahimkhan A, Dunlap TL, Bolton JL. Botanicals and their bioactive phytochemicals for women’s health. Pharmacological Reviews. 2016;68(4):1026-73. Movahed MR, Khoubyari R, Hashemzadeh M, Hashemzadeh M. Obesity is strongly and independently associated with a higher prevalence of pulmonary embolism. Respiratory Investigation. 2019. Klovaite J, Benn M, Nordestgaard BG. Obesity as a causal risk factor for deep venous thrombosis: a Mendelian randomization study. Journal of Internal Medicine. 2015;277(5):573-584. Cavaleri F. Presenting a new standard drug model for turmeric and its prized extract, curcumin. International Journal of Inflammation. 2018;5023429. Shu Z, Shar AH, Shahen M, et al. Pharmacological uses of ginkgo biloba extracts for cardiovascular disease and coronary heart diseases. International Journal of Pharmacology. 2019;15:1-9. Bhatt N, Waly MI, Musthafa ME, Ali A. Ginger: A functional herb. Nova Science Publishers, NY, USA. 2013:51-71. Shaban MI, El-Gahsh NFA, El-said A, El-sol H. Ginger: It’s effect on blood pressure among hypertensive patients. IOSR Journal of Nursing and Health Science. 2017;6(5):79-86. Vanschoonbeek K, de Maat MPM, Heemskerk JWM. Fish oil consumption and reduction of arterial disease. The Journal of Nutrition. 2003;133(3):657-660. Weng Y, Yao J, Sparks S, Wang KY. Nattokinase: An oral antithrombotic agent for the prevention of cardiovascular disease. International Journal of Molecular Sciences. 2017;18(3):523. Kurosawa Y, Nirengi S, Homma T, et al. A single-dose of oral nattokinase potentiates thrombolysis and anti-coagulation profiles. Scientific Reports. 2015;5.